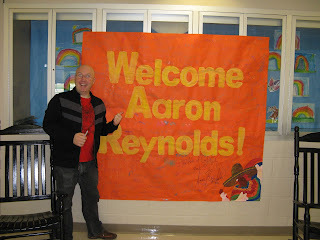 Aaron Reynolds is the author of Caveboy Dave, a new graphic novel for kids. 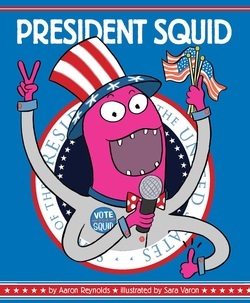 His many other books for young readers include President Squid, Nerdy Birdy, and Creepy Carrots. He lives in Chicago. Q: How did you come up with the idea for Caveboy Dave and his world? A: It started with an idea about a kid inventor. The phrase "my grandpa invented fire...my dad invented the wheel" just kept ringing in my head and I realized that it had to be a caveman story. That suited me fine, because I rarely write "realistic" fiction, but I wanted to touch on realistic issues that middle-grade kids face...finding your identity, feeling misunderstood by the grown-ups in your life, discovering your passion. I also wanted there to be high stakes...not only emotionally, but life and death possibilities as well, but it had to be funny above all else. That's when Dave started to take shape. Though his name was originally Mongo. He got a name makeover during the editorial process! 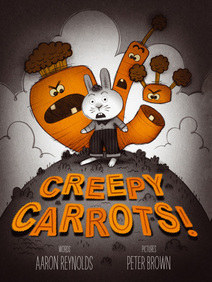 Q: What was the process of collaboration on the book between you and illustrator Phil McAndrew? A: As is often the case, Phil and I never worked together in any way on this book. 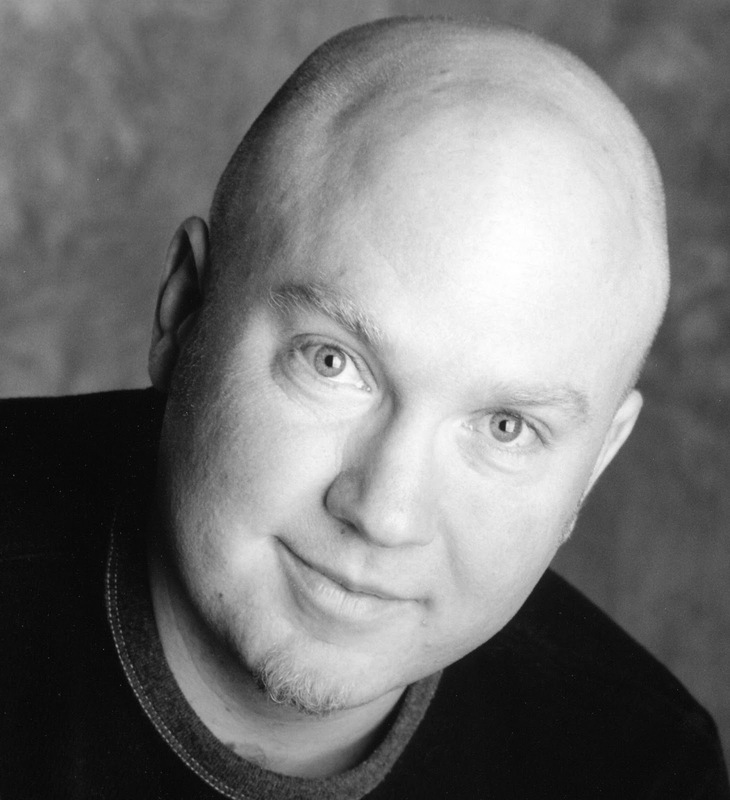 The truth is, I've never met Phil McAndrew in my life! People are shocked to find that a graphic novel can be created that way, but it's true! I write the complete story as a manuscript, which looks a lot like a screenplay in format. From there, my publisher and I edit the story several times to get the story the best it can be. Once the story is done, my publisher decides upon the best and most dynamic artist to tackle the book. Phil McAndrew was a great pick for this...his art is amazing and fabulous and just a touch irreverent. Phil uses my manuscript and imagines the story characters and layouts from there! By working completely separately like this, I think you often get something more unique and special than if we were collaborating directly. You get all of my best unique ideas, and all of Phil's best unique ideas that come together to make something neither of us could have done on our own. The results are fabulous! Q: Does your writing process change depending on the type of book you're writing and the age group? A: Not really. 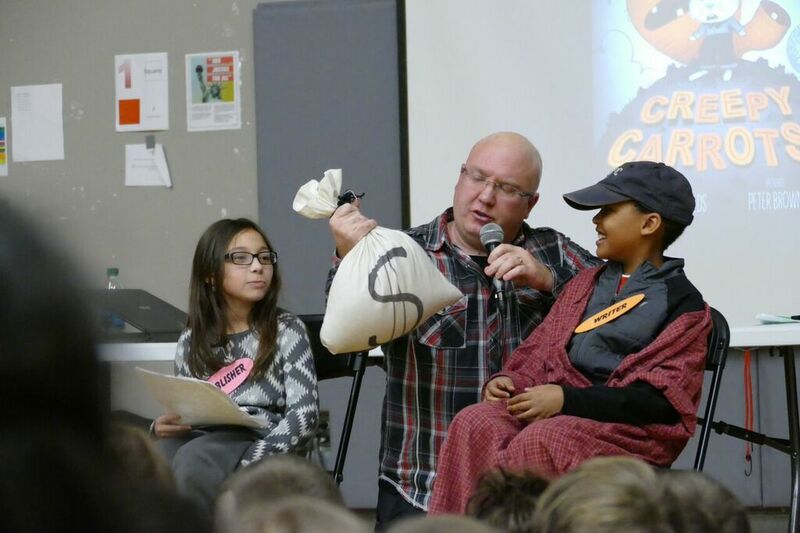 I write six months out of the year, so that I can save the other six months to be available to do school visits around the country. During my six months of writing, I sit down to write every day. While my process isn't that different, I do approach a picture book and a longer book like Caveboy Dave slightly differently. In a picture book, you only have maybe 500 words to work with, so every single word counts. The sentences, the plot, the whole story has to be so tight and trim...there's no room for any fat. With a longer book like a graphic novel, you have a lot more wiggle room, but plotting requires a lot more thought because the story needs to sustain excitement, energy and have an emotional arc that spans over a longer story. Each requires its own way of thinking, but at the end of the day, it's still just me sitting in front of the page trying my best to hammer out the story. Q: What are some of the most common perceptions--and possible misperceptions--people might have about cavemen? A: That they're all dumb! Okay, lots of them are boneheads. But it takes some real chutzpah to come up with things like fire and the wheel! But Dave takes it to a whole new level. He doesn't just want to invent...he wants to innovate! He doesn't just want to create things that make life functional, he wants to create things that make life amazing! But some cavepeople are boneheads. Not everybody gets it. Therein lies his challenge. Q: What are you working on now? Another Caveboy Dave book? A: The second Caveboy Dave book is finished (my part, anyway) and Phil is furiously drawing away. It will be out Fall 2017. 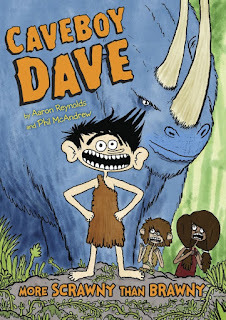 We're in discussions for a third Caveboy Dave book, so stay tuned for that. 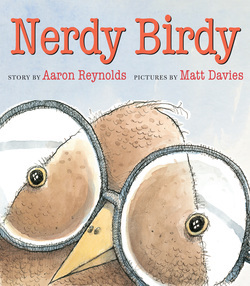 In the meantime, I have several new picture books in the works, including sequels to both Nerdy Birdy and Creepy Carrots. So lots more books on the horizon! A: I love visiting schools! So much so that I dedicate half my year to visiting them! I had no idea when I started writing kids books that authors even visited schools, but it's become one of my favorite parts of my job! My presentations are highly interactive and highly silly (a lot like my books). 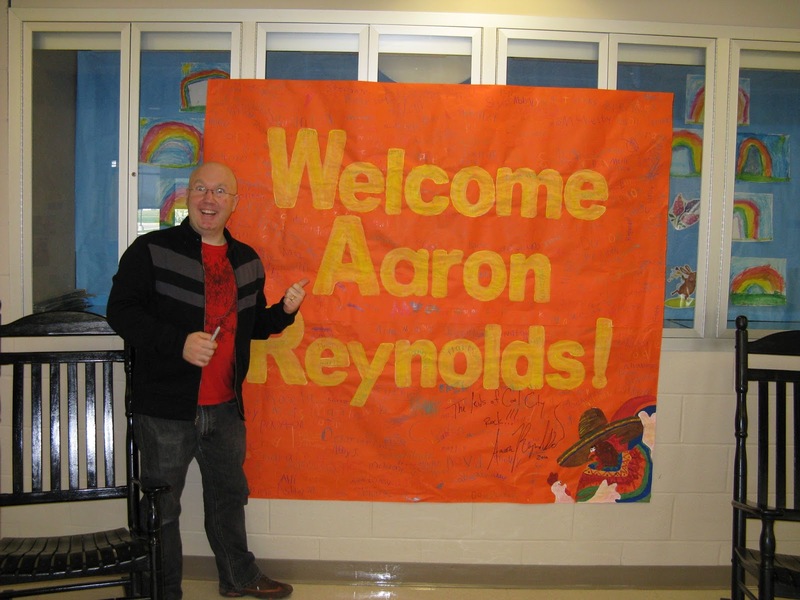 Folks who would like to talk more about having me visit their schools around the country can reach me at www.aaron-reynolds.com.